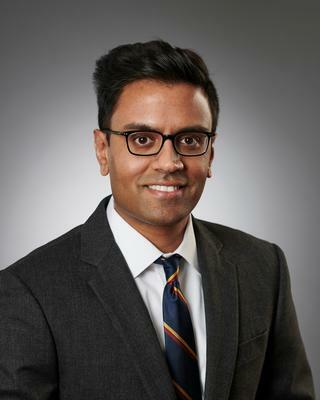 Sawan S. Patel is a corporate and franchise attorney who represents entrepreneurs, startups, franchisors and international ‎companies. He counsels clients on a variety of matters, including entity ‎formation, contracts, domestic and international commercial transactions, mergers and acquisitions, ‎franchising, contests and sweepstakes, and regulatory compliance. Sawan reviews and drafts contracts, such as distribution agreements, licenses, vendor agreements, equipment purchase and lease arrangements, non-disclosure and non-compete agreements, and business-to-consumer terms and conditions. He also counsels franchisors in structuring and ‎operating their franchise systems by advising start-up franchisors in creating franchise systems and preparing annual franchise disclosure documents and registrations for established franchisors. Entity formation. Represented entrepreneurs in entity formations, including LLCs and corporations. Corporate governance. Advised clients in corporate governance and compliance matters, including governing resolutions, restructurings, buy-sell agreements, and ownership transfers. Mergers and acquisitions. Counseled clients during asset purchases and sales and other mergers and acquisitions. Purchases and sales. Represented clients in purchases and sales of equipment and other property. Warranties and disclaimers. Developed product warranties and disclaimers, including under the Magnuson–Moss Warranty Act for manufacturers, distributors, and retailers. Structure franchise systems. Represent a variety of clients in franchising their brands, including preparation of initial franchise disclosure documents. Franchise and disclosure documents. Amended and updated annual franchise disclosure documents and drafted and revised franchise agreements. Sales representation arrangements. Represented clients in sales representation arrangements under state commission dealership laws. Incentive programs. Helped franchisors prepare franchisee incentive programs offering discounted royalties and other incentives in exchange for remodeling commitments or new store openings. Contests and sweepstakes. Structured contests and sweepstakes, drafted rules under state anti-gambling laws, and drafted gift card/certificate disclaimers under state and federal gift card laws for retailers and franchisors. Supply arrangements. Represented distributors in distributor and supply arrangements (both domestic and international).